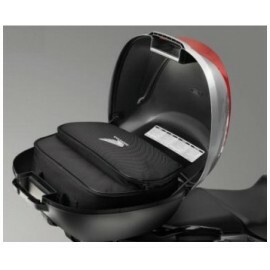 Givi E340 Vision Tech black top case with smoked reflectors. 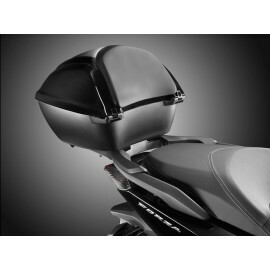 Delivered with (or without) a Monolock plate of your choice (with or without integrated anti-theft slot). 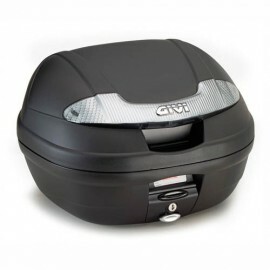 The installation on your Forza 125 also requires the Givi top case mounting kit (see accessory). 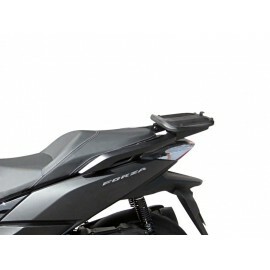 Honda 35L Top Box painted as your Forza 125 scooter. 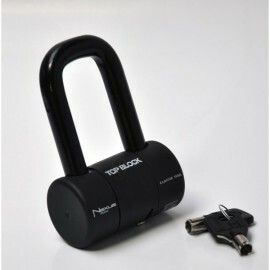 Provided with holder (08L70-K40-F00) and one key lock (08M71-KZL-840). 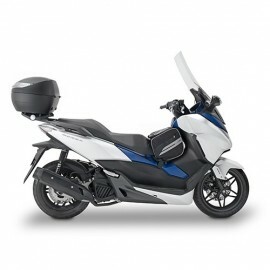 Givi 25L Xstream tunnel seat bag for your scooter. 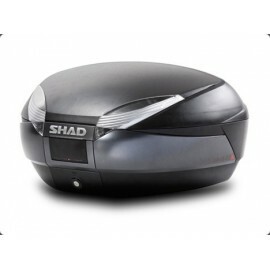 Shad top case master fitting kit for Forza 125 (V1/V2/V3) and Forza 300. Everything to install the fitting kit on your scooter. Important: the top case plate is not provided with this kit, it is with the Shad Top Case. 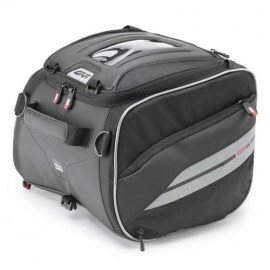 Shad SH48 Top Case 48 liters. Fits 2 fullface helmets. Provided with mouting plate. Cover is an option. 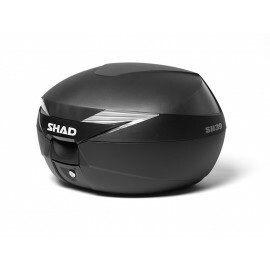 Shad SH39 39 liters storage for your Forza. Fits 1 fullface helmets and some stuff. Provided with mouting plate. Color covers available.